The RSS is actively working to influence thought and policies in the West. Examples include the contents of the manifesto of the Norway mass murderer Breivik and attempts to influence California textbooks. The Norwegian white supremacist terror suspect Anders Behring Breivik's manifesto against the "Islamization of Western Europe" was heavily influenced by the kind of anti-Muslim rhetoric which is typical of the Nazi-loving Hindu Nationalists like late Madhav Sadashiv Golwalkar (1906-1973), and his present-day Sangh Parivar followers and sympathizers in the Bharatiya Janata Party (BJP) who currently rule several Indian states. This Hindutva rhetoric which infected Breivik has been spreading like a virus on the Internet, particularly on many of the well-known Islamophobic hate sites that have sprouted up in Europe and America in recent years. In fact, much of the Breivik manifesto is cut-and-pastes of anti-Muslim blog posts and columns that validated his worldview. "It is essential that the European and Indian resistance movements learn from each other and cooperate as much as possible. Our goals are more or less identical," Breivick wrote in his manifesto. The Christian Science Monitor has reported that "in the case of India, there is significant overlap between Breivik’s rhetoric and strains of Hindu nationalism – or Hindutva – on the question of coexistence with Muslims. Human rights monitors have long decried such rhetoric in India for creating a milieu for communal violence, and the Norway incidents are prompting calls here to confront the issue." 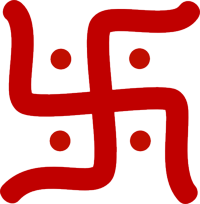 Hindu nationalists in India have a long history of admiration for Adolf Hitler, and his "Final Solution". In his book "We" (1939), Madhav Sadashiv Golwalkar, the leader of the Hindu Nationalist RSS (Rashtriya Swayamsevak Sangh) wrote, "To keep up the purity of the Race and its culture, Germany shocked the world by her purging the country of the Semitic races -- the Jews. Race pride at its highest has been manifested here. Germany has also shown how well-nigh impossible it is for races and cultures, having differences going to the root, to be assimilated into one united whole, a good lesson for us in Hindusthan to learn and profit by." Not only have the BJP led governments in India fundamentally altered India's history textbooks, the BJP allies around the world are attempting to the same in textbooks as far as California. "The introduction of new textbooks by the NCERT (under BJP) was inspired by the political purpose of seeking rationale from history for constructing India as a Hindu nation. The textbooks were, therefore, recast as narratives of Hindu religious nationalism. Claimed as an effort to retrieve the true nationalist history from the motivated distortions of colonial historiography they attribute to Indian nation an exclusively Hindu character." "During this period the political climate in the country turned in favour of the Hindu fundamentalist forces, which enabled them in 1998 to lead a coalition government in which the Ministry of Human Resource Development which dealt with education was headed by a long standing cadre of the Hindu fundamentalist organization, Rashtriya Swayam Sevak Sangh( RSS). Under his stewardship the government spared no effort to change the content and character of education, of which the introduction of new textbooks, was perhaps the most prominent and indeed controversial." "The idea of India being a Hindu civilisational state runs through all the texts, either directly expressed or indirectly suggested. The question of the indigenous origin of Aryans and the identity of Harappan civilization with the Vedic society has some bearing on this issue. The former is quite central to the fundamentalist agenda of claiming the nation as Hindu, as the migration theory would deprive the Hindus of indigenous lineage. Therefore, against the widely held scholarly opinion Aryans are credited with indigenous origins, subscribing in the bargain to the colonial view of Aryan race. In the former case the textbooks put forward the view that the Aryans were indigenous to India and that the opinion widely held by scholars about their migration dismissed as inconsequential. In defense of indigenous origin no substantial evidence is adduced, except negative reasoning. It is asserted that the ‘the oldest surviving records of the Aryans, the Rig Veda, does not give even an inkling of any migration. It does not have any knowledge even of the geography beyond the known boundaries of Ancient India.’ It further says: ‘Many scholars think that the Aryans were originally inhabitants of India and did not come from outside. It has been argued by such scholars that there is no archeological or biological evidence, which could establish the arrival of any new people from outside between 5000 B.C and 800 B.C. This means that if at all there was any migration of Aryans or for that matter of any other people in India, it may have taken place at least eight or nine thousand years ago or after 800 B.C. to both of which there is no evidence. Further, the skeletal remains found from various Harappan sites resemble the skeletons of the modern population of the same geographical area.'" The fanatic Hindu nationalists tried to do in California what their Indian counterparts have already done in India. They attempted to pollute California history textbooks in 2006, when they argued unsuccessfully to include lies like the indigenous origins of Aryans and tried to deny the terrible impact on hundreds of millions of Indians of the caste system and misogyny prevalent in Hindu texts and Aryan culture. Hundreds of history scholars from US and South Asia helped defeat this reprehensible attempt by Hindu American Foundation (HAF) and its allies in the United States. While the biggest victims of Hindu fundamentalists are the women and the Dalits of India, non-Hindu minorities and the neighboring states have not been spared either. They are cowards and they prey upon unarmed Muslim, Christian and Sikh minorities in organized pogroms in what American scholar Paul Brass calls "production of violence" in India with many Indian intellectuals and some in the Indian press justifying the actions of the murderers. The big brothers of these fanatic Hindutva terrorists occupy high positions in the Indian security establishment, according to former Maharashtra police chief SM Mushrif. These Hindutva allies in Indian government conduct covert warfare via terrorist actions in neighboring states including Pakistan through RAW. The Indian Hindu Nationalists are rapidly increasing their global reach. The hate-filled ideology they preach is a growing potential threat to peace and stability of many nations where they operate. Breivik's actions represent only the tip of a much larger and growing iceberg of death and destruction that lies just beneath the surface. Hindu Swayamsevak Sangh UK (HSS) "runs as a voluntary organisation with weekly youth leadership training centres across the country," according to its website. But undercover filming shows children as young as 13 being taught at a summer camp organised by the charity that the number of good Muslims "can be counted on fingers". The same tutor at the camp can also be seen telling children, "To destroy Hindu history is the secret conspiracy of the Christians," and "If it comes to Islam, they are the world’s worst religion." The charity has since told Exposure that depicting it as "anti any religion" is "wrong and counterproductive to the positive work HSS has done in building interfaith relations." We promote Hindu values which are about cohesiveness, duty to society and universal peace. Our actions over the years show that HSS promotes diversity and unity in Britain. We are investigating these alleged comments to ensure those who made them are better informed, trained or prevented from making statements which may be interpreted as anti another community. Asked about the programme's findings, the Charity Commission said they were "absolutely shocking" but said, "We don’t have a power to shut down an ineffective or a troubling charity in that way". The Commission also said that in the draft Charities Bill it has asked for a specific power to wind up a charity that is no longer fit for purpose. Since filming, it has confirmed it is investigating the serious concerns raised by Exposure about Global Aid Trust and HSS (UK), and that it has removed The Steadfast Trust from the Register of Charities. Hindu Swayamsevak Sangh (HSS) is a subsidiary of Rashtriya Swayamsevak Sangh (RSS) for supporting and mobilising Hindus living outside India. Founded in 1940s in Kenya, it is currently active in 39 countries and boasts 570 branches. Two volunteer members of the Rashtriya Swayamsevak Sangh (swayamsevaks) that had settled in Kenya in 1940s and started a shakha (branch). Since such shakhas were not on 'national' (rashtriya) soil, they were renamed as the branches of Bharatiya Swayamsevak Sangh, later Hindu Swayamsevak Sangh (HSS). RSS Pracharaks Bhaurao Deoras and others spent several years abroad to develop the organisation. During the Emergency RSS was banned in India and, consequently, sent its organisers abroad to seek support and carry out activism. 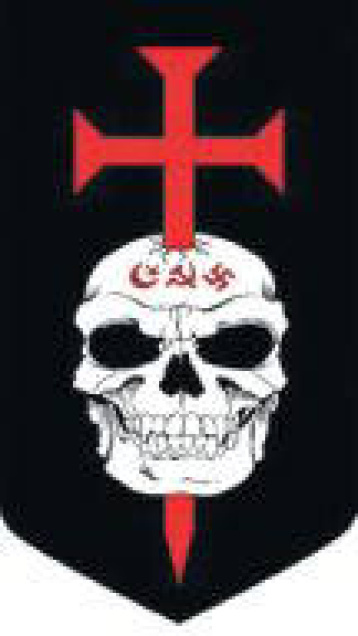 The British wing of the HSS was established in 1966, and shakas were established in cities like Birmingham and Bradford. In North America, the HSS gave the lead to the sister organisation Vishwa Hindu Parishad (VHP, World Hindu Council), which was founded in Canada in 1970 and in the United States in 1971. The HSS followed in its wake. Currently, the United States has 146 branches of the HSS, the largest network outside the Indian subcontinent. The HSS organisation in Australia, as elsewhere, says that its focus is on the country in which it is based and that it does not send money to India. It claims to be "ideologically inspired by the RSS vision of a progressive and dynamic Hindu society that can deal with its internal and external challenges, and contribute to the welfare of the whole world". 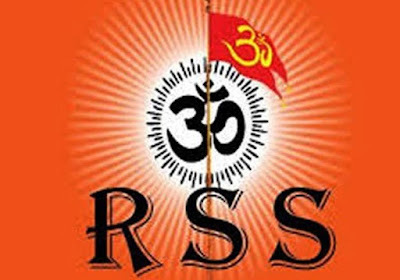 Aside from providing links to the Rashtriya Swayamsevak Sangh (RSS), they also have links with organisations such as the Vishwa Hindu Parishad and the Hindu Youth Network. They exist to raise awareness in matters relating to Hindus but support no political party or candidate. The HSS was established in Nepal around 1992 by a group of Nepali students who were influenced by leaders of the Hindu nationalist RSS while studying in India. The two bodies share a similar Hindutva ideology. The HSS are reluctant to clarify their sources of financial support other than to say that members donate what they can. Their presence is particularly prevalent in the Terai region and they have regimented programs of education, dissemination of ideology and exercise as elsewhere in the world. The Nepali HSS has been among several groups campaigning for a reversal of Nepal's 2006 decision to become a secular state after years of being ruled by a Hindu royal family. They say that the king had not favoured Hindus, that the decision was engineered by anti-Hindu groups, included communists and missionaries, and that in any event it was unnecessary because there had been no persecution of religious minorities under the previous system. Among their demands has been that only Hindus should be appointed to high official posts. The UK HSS organisation was established in 1966. HSS is involved in personality development for young people in the UK. UK HSS runs Shakha for men, Samiti for women and Balgokulam for children with increasingly popularity. UK HSS is actively involved in developing relationships with the local community. UK HSS has introduced many new sports in UK like Kho-kho, ring etc.